We tapped our inner Julia Child to bring comfort and nourishment to families with sick children staying at the Ronald McDonald House. Conveniently, we found inspiration, (and recipes!) in our very own D*mn that's good cookbook. 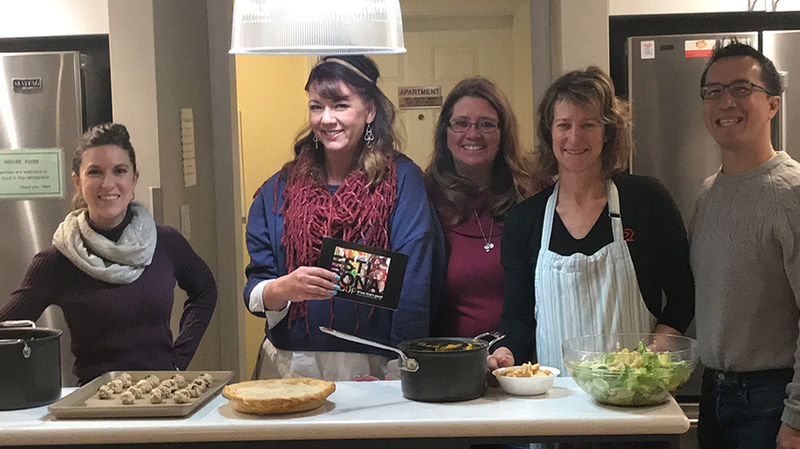 While the event did not go off without a hitch (see below - at least we didn't set off the fire alarm), eventually we served up a meal of nourishing soup, chicken pot pie, hearty pasta, Caesar salad and cookies on decorated dinner tables.